Holyrood should be prepared to adopt “controversial” measures to tackle the drug deaths crisis in Scotland, says Nicola Sturgeon. 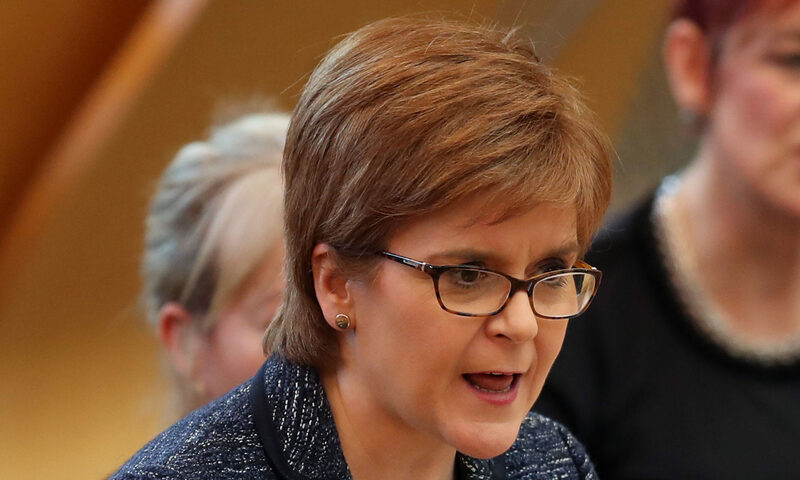 The First Minister said her government must be brave in addressing the “national outrage” given the likely backlash. First Minister Nicola Sturgeon during First Minister’s Questions at the Scottish Parliament ion Thursday March 8, 2018. Dundee has the highest rate of drugs deaths in Scotland, with 12 suspected cases recorded in January alone. There were 38 drug-related deaths in the city in 2016, according to National Records of Scotland. Neil Findlay, the Labour MSP, called on Ms Sturgeon to lead a “bold” change of a policy widely referred to as the “war on drugs”. “Scotland has the highest level of drug deaths in Europe. If this was from knife crime or flu there would rightly be a national outrage,” Mr Findlay told First Minister’s Questions. In October last year, delegates at SNP conference called for Ms Sturgeon to overhaul drugs policy as part of a major review that explores legalisation. The power to decriminalise or legalise lies with the UK Government, with classification reserved to Westminster. Policies for how to approach addiction and drug use are devolved. The First Minster told Holyrood on Thursday: “On this issue there is always a need for new and bold thinking and we should try and come together and do that and be prepared to sometimes do things that may be controversial and may in some areas may be unpopular. The SNP leader backed the principle of fixing rooms, which are being considered in Glasgow and Dundee. On Monday, police, health workers and local drugs agencies will come together for the first meeting of the Drugs Commission, which is organised by Dundee City Council.